We are Proud to be rooted in Charlotte. There is nothing that makes a father prouder than watching his son follow in his footsteps. 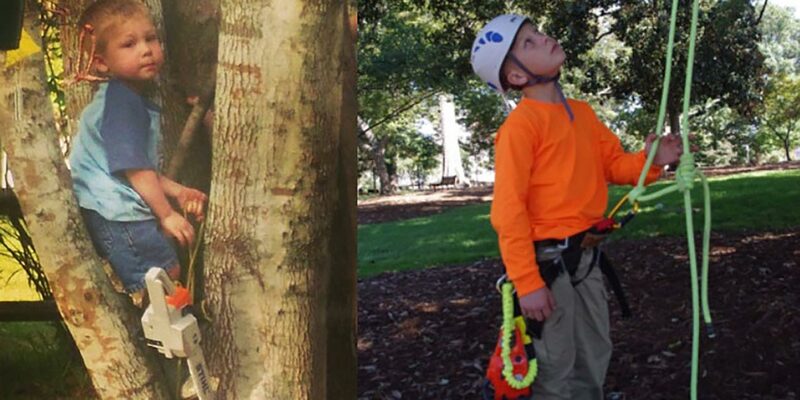 Here at Arbormax, we are extremely proud to say that for 4 generations our family has been rooted in the tree care business. Over Fifty years ago my grandfather started teaching my father all that he knew about trees. Since I was a small boy my father has guided me and taught me the skills that he acquired through the years along with the knowledge that was passed on to him by my grandfather. I am continuing this tradition with my three sons. My oldest son started his first summer internship with us this year officially making us four generations of tree guys. If you look around our website you will notice that it is littered with funny puns like “have a Prob-Limb? Leaf it to us” and “We are rooted in Charlotte”. But all puns and joking aside, we truly, honestly love being arborists and we wholeheartedly love Arbormax. Over the years our commitment to customer satisfaction and our passion for trees has helped us grow from a small family operated business to one of the nation’s leading tree services. It has been many years since my grandfather cut that first tree and so much has changed since then. Climbing methods have evolved and the gear that we use has advanced light years. Now a days chainsaws are very lightweight and stronger than you can imagine. The science behind tree care and the overall understanding of a trees needs advanced greatly. But there is definitely one thing that has remained unchanged through the years. That one thing is our unwavering commitment to our clients and their satisfaction. Our clients and the relationships that we have developed mean the world to us. I’m not sure that we can express how grateful we are for the fantastic people we have worked with through the years. We honestly treat every one of our clients and their trees like they are the only customer that we have. Hopefully we will be able to continue the traditions for another four generations. Timmy (pictured above) is my youngest son. He is only 11 and already has 8 years of experience. The picture above (left) shows him at 3 years old (right) at eleven. He is growing fast and soon his toy saw will be replaced with a real one. He will be pruning and caring for the trees instead of climbing them for fun, of course he will still have fun though.